When you have a basic understanding of electricity and how it behaves, you will understand the fundamentals of electrical safety. When you have a basic understanding of electricity and how it behaves, you will understand the fundamentals of electrical safety. This is the prime focus of the training course. 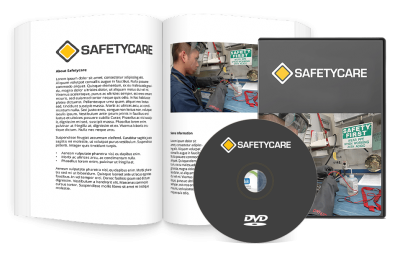 COURSE AIM The aim of this training course is to improve the level of knowledge and understanding about electrical safety in the workplace. SESSION 1. The Course Introduction The course introduction clearly explains the aim of this course and the reason why the course is being conducted. It also includes an icebreaker called ‘Mix and Match’. This icebreaker exercise introduces the participants to the subject of electrical safety in a fun and challenging way. SESSION 2. Basic Facts About Electricity This session provides the participants with a basic understanding of electricity and how it behaves. It focuses on defining common electrical terms eg. voltage, current, resistance, etc., and it looks at the three fundamental rules of electricity and explains in detail what each of these rules mean. This session looks in detail at AC current levels and their damaging effects on the human body. Additionally, the session covers a wide range of other factors which will impact on the severity of any electrical injury eg. the pathway the electricity takes, the duration of the electrical shock, etc. During this session the participants learn how to calculate and determine the risk consequence of any electrical hazard they may encounter. This session starts off by looking at the theoretical side of identifying, evaluating and controlling electrical hazards in the workplace. The session then involves the participants in a written exercise which gets them to practically apply this information. This session covers all the relevant procedures that must be followed in the event of an electrical accident. It addresses in detail what you should do if you come across someone who is connected to a ‘live’ electrical source and what you should do in the event of a fire involving electricity. During this final session the participants are involved in a thorough review of the information covered during the training course. The session then concludes with the participants completing a written questionnaire.